Question: If 2 cars run a red light, one of them is a yellow cab and another one is a regular car, which one will be stopped by the police and issued a ticket? Question: If 2, 3, or even 4 cars are standing in a no parking zone and one of those is a yellow cab, guess which one will be given a ticket? Question: If 2 or more cars are crossing the street and all of a sudden the front cars stopped and 2 or 3 cars are on the cross road mark, guess which one will be singled out? Question: If few cars were speeding and one of them is a yellow cab, guess which one will be given the ticket for speeding? The answer is as easy as ABC. In all the situations the scapegoat will be the yellow cab. 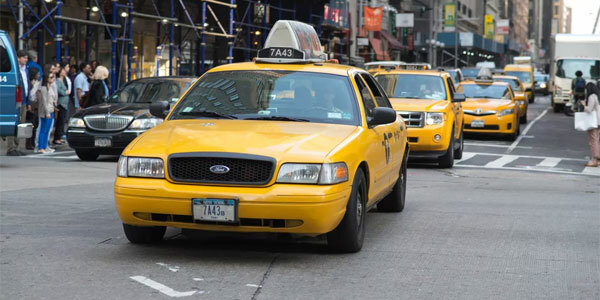 Yellow cabs may be most effective mode of transportation in New York City but the Taxi and Limousine Commission (TLC) and The city of New York (especially the police department) treat these cab drivers who are relentlessly carrying passengers to their destinations like dirt. Yellow cabs are such an easy target of any kinds of propaganda that it is unbelievable. The TLC which are run by the city with the money earned from the cab drivers, may be the single worst people to deal with. A cabbie has practically no rights. A cabbie means thief, a cabbie means Liar, a cabbie means being worse than a dirt. Even the so called mayor treats them like criminals. I urge the Taxi Commissioner to drive a yellow cab for a month and I can bet with my life that the experience will open his eyes so wide that they’ll never close again. The kind of abuse that cab drivers take from the police and TLC makes it seem like we are living under Saddam Hussein where the very people he governed had no rights what so ever. I still remember one time my car just died on me after unloading a passenger. After numerous unsuccessful attempts to start it, a cop pulled up behind me. He simply didn’t care that it was a mechanical issue and I couldn’t fix it right then and there. He issued me a ticket. That was the last straw. Turns out, the car had a bad ground strap from the battery which wouldn’t allow it to start up. There was nothing I could do at the time. The TLC Commissioner is born with a silver spoon… maybe a gold spoon in his mouth. The vast majority of Cab drivers are poor people who came to this land of opportunity to support his family. The Commissioner would never be able to even fathom the idea of sending money for a hungry family in Africa, India, Bangladesh and so on, let alone understand the situation. The cab drivers work 12 hours straight and many times after paying the lease, gas and food, they may end up with 30 to 40 dollars. That’s like $3 to $4 dollars an hour. Yes sometimes if the day is good then they may earn $100 for themselves and that amount is close to the minimum wage. A cab driver does not become millionaire by driving cab. Most cab driver work 72 hours a week taking one day off. He makes more money for the garage than for himself in any given week. And if he gets one or 2 tickets, that means the whole week’s worth of wages are gone. Why the cab is the safest bet for city to issue a ticket is because the cab drivers normally do not go to court and fight the ticket. They’d rather pay than go to the court where they know that there is not even a 5% chance to win the case. The police, TLC and the ticket agents all know how to write tickets. They all know what to say in front of the judge so that the tickets stick. Because they are professional and boy do they know how to write the ticket the right way. I wonder one thing… New York City issues thousands of tickets every year. In fact the number is in millions and only a handful of the tickets were dismissed as the fault of the issuers. So what does that really mean? That all those receiving tickets are liars and the ones issuing the tickets are all saints who have never done anything wrong? I don’t think so. And this, my friends, is exactly why quitting my job as a taxi driver was one of the best things I’ve done. Until things change, I would never recommend that profession. Yes, DIY car repairs is something I’ve had to learn since my employer doesn’t handle that, but I’ve actually had a lot of fun (most of the time) doing my own vehicle maintenance. Being an Uber driver really is one of the best jobs in the world I think.